Overlooking Florence, the Villa Mangiacane Estate spans 306 hectares situated between San Casciano Val Di Pesa and Greve in Chianti, at an altitude of 250-300 meters. The diversity of soils and exposures, to the East and North East in San Casciano, and to the South in Greve, generate different microclimates and guarantee the production of wines with great complexity and personality. Even though Villa Mangicane has been around for over 500 years, our prime wine production began in 2001 once we had undergone extensive modernization as well as constructing a new cellar and planting the new vineyards. Our wines are produced following the 'Chiantigiano' style, which represents the perfect combination of ancient wine-making traditions and modern concepts. 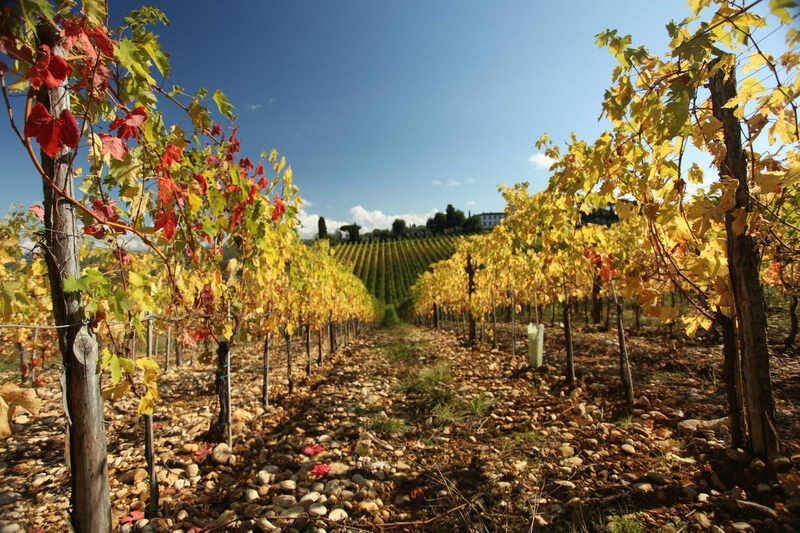 Our wines are produced with exceptional quality and immense character due to the timeless passion and definitive traditions of the Chianti area mixed in with the innovative viticultural and winemaking techniques. Of the 43 hectares of vineyards, 15 were planted in the 1980's with 3500 plants/hectare, and 28 were replanted after 2001 with 5500 plants/hectare. The soil diversity and exposure to San Casciano and Greve, generates different microclimates and guarantees the production of wine with great personality and complexity.